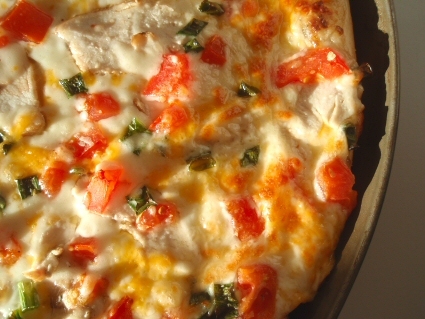 I'd really like a Chicken Garlic Pizza from Papa Murphy's right now. I have not eaten a pizza in a LONG time. And, second only to chocolate, pizza is my favorite food. Anyhow, you may not want to read me rant about pizza cravings, so I'll move on to the details of week two on the FLAT BELLY DIET. This grocery shopping was much more complicated this week and more frustrating, because we had to go to five different grocery stores and still didn't find all of the items listed on the grocery list. Another complication to the grocery bill (which originally was $150) was the fact that my oldest son decided he really likes this food and he started to eat everything up before those of us on the program got to it. So, this also required extra grocery store trips. Who knew my seventeen-year-old would eat all of the fresh spinach before it came up on our menu list? He also loved the Garlic Hummus on the Kashi Crackers ... back to the store! So, I've decided to add up all of the miscellaneous receipts and divide it by FIVE people this week. We did NOT purchase tapenade, because we could not find it ANYWHERE. We went to Albertson's, WinCo, Walmart, Fred Meyer, and the Boise Co-op. Nada. Fred Meyer and the Co-op said they normally carry it, but they were both "out." 1. There were quiet a few of the menus that called for Tapenade ... and we were unable to find it anywhere, so trying to figure out what to do instead, again and again, became frustrating. 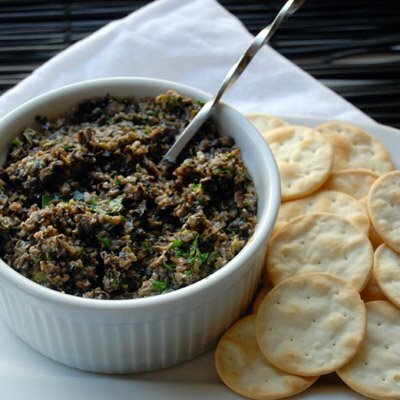 Picture Source: http://deestroyer.blogspot.com/2008/11/olive-tapenade.html - - silly me - - I should have googled this sooner! Who knew you could make your OWN homemade tapenade? That would have saved us a bunch of grief this week! YIKES. Oh well. NOW I know!! 2. Our air conditioner is currently not working. So, we did not want to use the oven or stove because it would heat up our home even more, and many of the the menus called for cooked items. So, we actually, had fruit smoothies more than we probably should have. BECAUSE THEY WERE COLD!! Overall, the food was fine. I feel like I cannot accurately judge it this week, because we made so many substitions (for reasons above). So, I wonder if we were craving pizza more this week because we weren't able to follow the program precisely. Nothing stood out this week as a truly choke-worthy meal. 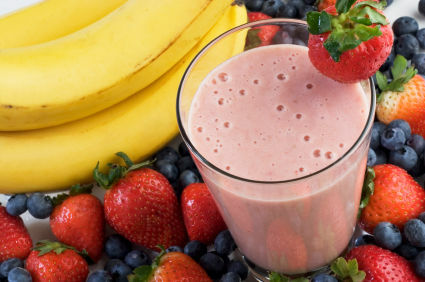 Our favorite meals by far, were the fruit smoothies. We simply put 1 cup rice milk in the blender and added 1 cup worth of our favorite fruits. We put in frozen bananas, frozen blackberries, frozen grapes, frozen cherries, etc. YUM YUM YUM. And then followed it with a "MUFA" such as almonds or pine nuts. I really haven't been craving chocolate at all on this program which is a real surprise to me ... considering it has always been my number one food source! But, maybe that's because we get to eat chocolate! One day we needed to substitute a meal, and so we went out and picked fresh raspberries and piled them on top of the Kashi waffle which had been broiled in the oven with 1/4 cup dark chocolate chips on it ... HEAVEN!! I doubted it for the first time after weighing in. I guess I'm jealous that my husband is dropping pounds so rapidly, and I'm hovering. But, as my seventeen-year-old son said, "At least you're dropping and not gaining!" My entire family is thrilled with this eating program. I have struggled with pizza cravings this last week, but I'm still satisfied with the food choices we've had. My sixteen-year-old son still loves the food. He went on a three day trip with a youth group, and I told him he could just eat the food provided, and not worry about it, but he chose to take some healthy Luna bars and nuts with him. He came home and told me about all the delicious things he ate like muffins, bacon, hashbrowns, sloppy joes, etc. And yet, at the end of the week, he still dropped a pound. My fourteen-year-old daughter is very pleased with the program. She dropped 2 pounds during this week two of the program. And, yes, I'm keeping an eye on it. But, she's doing volleyball camps 24/7 this month and with that level of activity, she's going to drop a few pounds. My husband is thrilled. He loves having me pack his meals for him, and he feels like he is eating more than before and still dropping pounds. He went down another 5 pounds this week, and he still has not added any exercise. I am hanging in there. I'm determined to achieve my goal and not quit before ... but I was a little sad when my "weigh-in" showed only 2 pounds dropped. I did water aerobics three times during the week. As described above, the grocery shopping was frustrating because we couldn't find the tapenade. Which in turn made the menu process frustrating because we had to figure out so many substitutions for the lack of tapenade. The other problem was my oldest son eating up the food before we got to it on the menu. This required extra trips to the store to replace food items. But, this could also be considered a success because he now loves hummus, whole wheat crackers, salads, spinach, and much more. I hear your frustration on the slow weight loss, but keep at it. Regarding tapenade, why not make some? There are plenty of recipes on the web and since you know exactly what is in it, it will be even healthier than the processed variety. I am a little behind the times but you can get Tapenade at both Winco and Fred Meyers on their olive bars. This is one of my daughter's and mine favorites. Was it easy to make?